When Illinois employees think of work-related injuries, they may imagine sudden disasters faced by factory workers or construction workers. Work-related trauma is often more subtle. Although these four common injuries do not involve heavy machinery, they are often severely disabling for employees, as a workers’ compensation attorney in Chicago knows. Take sufficient breaks during work. Ensure that computers, desks and chairs are properly set up according to ergonomic principles. Share highly repetitive tasks among employees or distribute them through the work week. Do not ignore signs of repetitive stress such as tingling or numbness. If repetitive trauma is left untreated, it can lead to months of lost work. An outdoor job can be a satisfying and challenging way to earn a living. Unfortunately, it also brings the risk of skin cancer. A workers’ compensation attorney in Chicago is aware that people who work outside may develop life-threatening melanomas and other skin malignancies. Outdoor workers should use sunscreen and cover up with protective clothing. They also have the right to sufficient shade breaks during hot, sunny weather. Job-related respiratory problems are not a relic of the old days of asbestos and unregulated factories. They still occur in America today. Many workers suffer respiratory distress after exposure to dust, pesticides, chemicals, filaments, fertilizers or other irritants on the job. Not all severe work-related injuries are physical. Some workers face post-traumatic stress from their experiences on the job. Medical personnel may witness horrific events at work. School employees are often traumatized after shootings or assaults on campus. This condition can be completely disabling. According to the Illinois Department of Public Health, 75,700 workers in Illinois reported a serious injury requiring time off work during 2013. 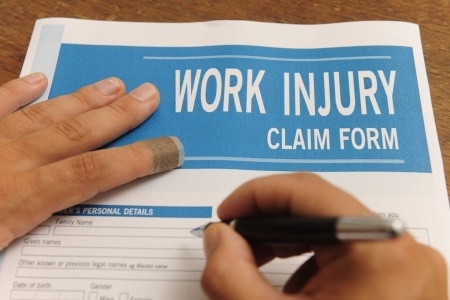 People who are injured on the job may be eligible for Illinois workers’ compensation. Even if an injury develops gradually from pollution or repetitive stress, the employee still has the right to claim compensation during the recovery process. Do you think you may have suffered a job-related injury? Speaking with a workers’ compensation attorney in Chicago may help you learn more about your options.